We love to hear from you! Use the form below to send us an email. Your feedback is important to us. We make every effort to respond right away to messages sent to us via the contact form. 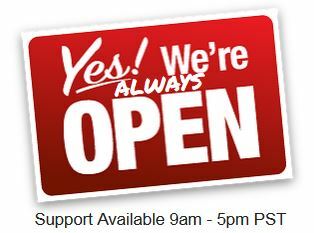 During service hours (9 am – 6 pm, PST), messages are typically responded to in under hour and, often, right away. Have a question? You may want to check at our FAQ page for an immediate answer. If you are looking to contact us because you haven’t received your e-gift card yet, please check the email associated with your PayPal account (including spam folders.) Part of our security process requires you to click on the verification link sent to your primary email. Your order will not be processed until we receive your verification. If you’d rather not use the contact form, you can e-mail us directly at customerservice@paypizzapal.com Please note, the information we ask for is used only to identify you for internal purposes. It is never shared or sold to any third parties. We take security and privacy seriously. See our Privacy and Security page for more details. We may, however, use your comments for our own promotional purposes. Any messages sent to us are considered ours to use.